Tele-epidemiology, relying on satellite imagery to study relationships between climate, the environment and health, is spawning a host of projects in West Africa. Risk maps able to predict exposure to disease-bearing insects are now operational and set to greatly facilitate healthcare applications. 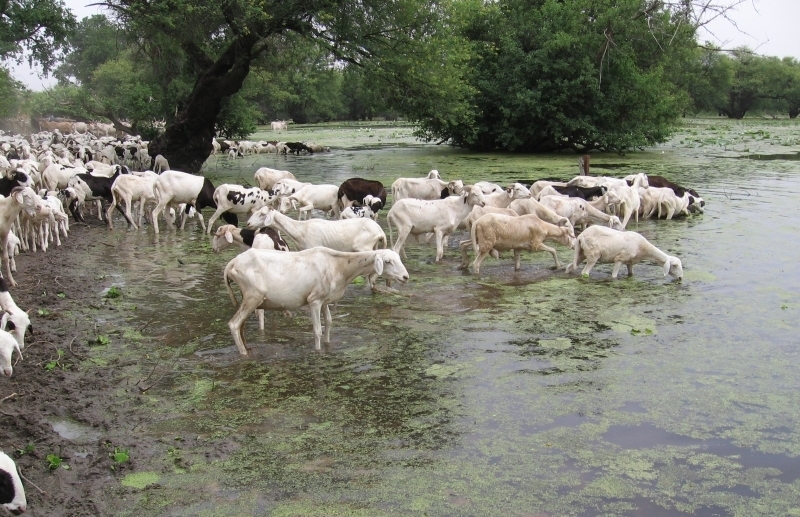 A temporary pond in the Ferlo region of Senegal. Credits: Jacques-André Ndione, 2006. An individual gets bitten 250 times a night during the rainy season! exclaims Jean-Pierre Lacaux from the Aerology laboratory in Toulouse, which is studying climate-environment-health relationships in subtropical Africa with CNES. In Senegal, the rainy season, from June to October, is also the time when mosquitoes arrive in towns and villages. Water collects and stagnates, forming numerous temporary pools that provide watering holes for cattle but also perfect conditions for mosquitoes to breed. 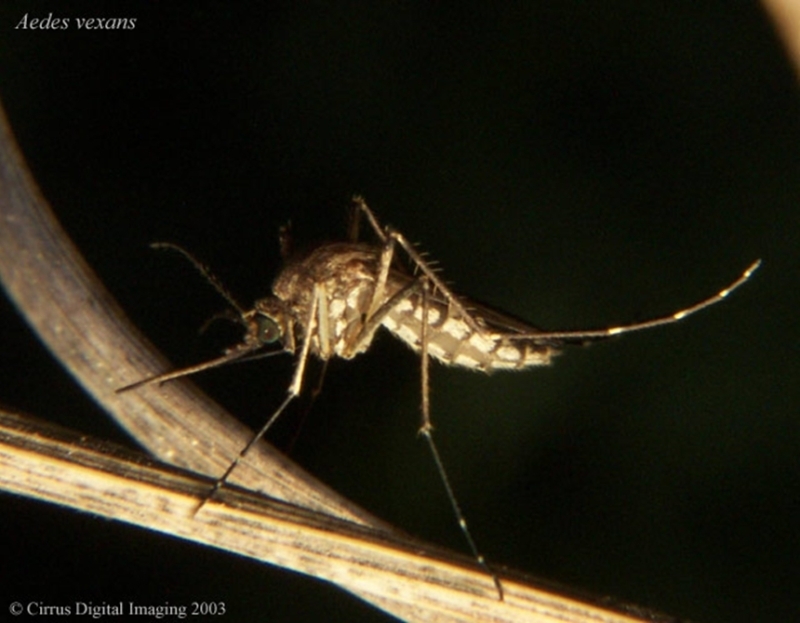 The Aedes vexans mosquito, a vector of Rift Valley Fever (RVF) in Senegal. Credits: Cirrus Digital Imaging, 2003. Anticipating the proliferation of such insects, which often bear human or animal diseases caused by pathogenic agents (viruses, bacteria, parasites, etc. ), is a key healthcare challenge now within reach. After 10 years working on zoonoses in West Africa, tele-epidemiology is now capable of providing operational predictive risk maps that are currently being trialled. This approach combining several fields of science—among them climatology, entomology and microbiology—with satellite imagery is a valuable ally for healthcare stakeholders. “Tele-epidemiology is an economically viable and original discipline relying on existing, operational satellite data products, monitoring networks and infrastructures,” stresses Antonio Güell, Head of CNES’s Applications & Exploitation department. 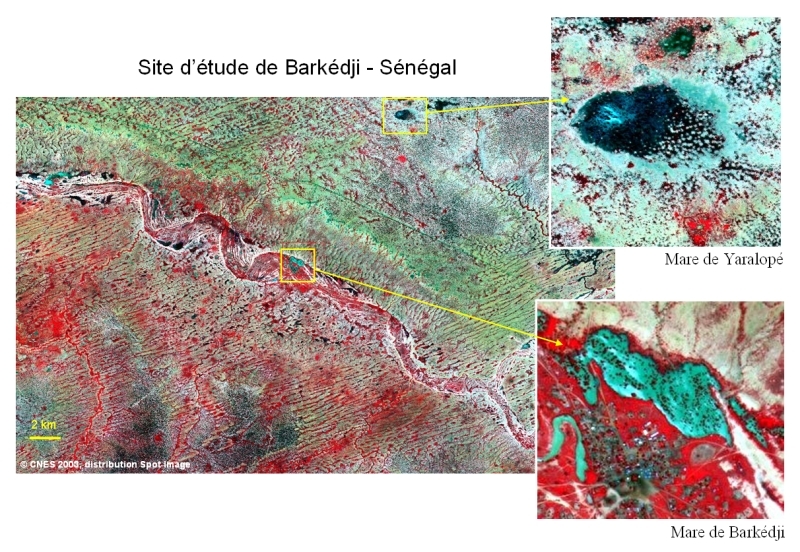 Satellite images of Barkedji, Senegal, acquired by the SPOT 5 satellite at a resolution of 10 metres on 26 August 2003. Credits: CNES/Spot Image. Painstaking field observations to measure mosquito aggressiveness, flying range, host-vector contacts and other factors tell researchers what kind of entomological mechanisms fuel the proliferation of mosquitoes. “Studying RVF in Senegal involved trapping 100,000 mosquitoes and coating them with a fluorescent powder to track them in flight!” recalls Jean-Pierre Lacaux. 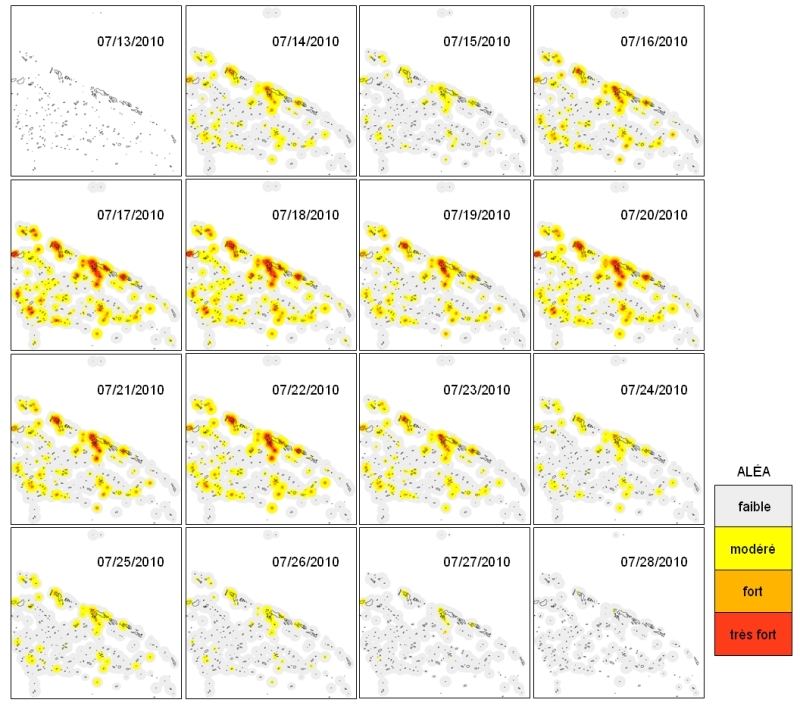 Field data are complemented by imagery from the SPOT 5 satellite indicating environmental variables associated with the proliferation of mosquitoes, such as vegetation indices and the presence and dynamics of ponds. Maps of zones potentially occupied by mosquitoes (ZPOM): daily trend between 13 and 28 July 2010 after a rain event. Credits: Vignolles et al., 2010. En croisant ces données, il est alors possible d’établir des cartes prédictives de zones de développement des moustiques et de leurs pics d’activité. la sélection des mares à traiter par des larvicides biologiques et des zones de bétail à vacciner, ou la décision concertée de déplacer les parcs à bétail voisins.